Back in January I photographed Foil Vedanta campaigners outside the Supreme Court in Parliament Square where British mining company Vedanta was appealing High Court and Court of Appeal rulings that 1,826 polluted farmers from Zambia can have their case against the company and its subsidiary Konkola Copper Mines heard in the UK. Vedanta are a British mining company, and were forced to delist themselves from the London Stock Exchange at the start of October 2018 after pressure from politicians and activists following the Thoothukudi massacre in Tamil Nadu in May 2018, where 13 protesters were killed and dozens injured. Grassroots activism on a large scale has managed to shut down Vedanta’s operations in Goa, Tuticorin and Niyamgiri and Foil Vedanta last September released a daming report ‘Vedanta’s Billions: Regulatory failure, environment and human rights’ with a comprehensive account of the company’s crimes in all of its operations, and of the City of London’s total failure to regulate Vedanta, or any other criminal mining company and revealing the vast scale of tax evasion and money laundering. 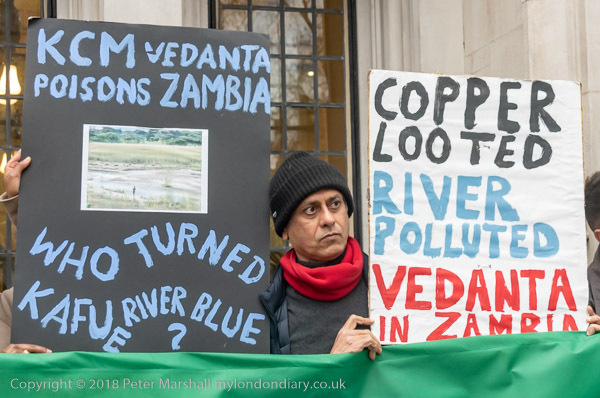 Earlier Foil Vedanta had exposed the illegal activities of the company’s subsidiary Konkola Copper Mines in Zambia, where Vedanta actually boasted about their illegal tax avoidance and they have campaigned over the pollution of the Kafue River, supporting the farmers in their legal action against the company. 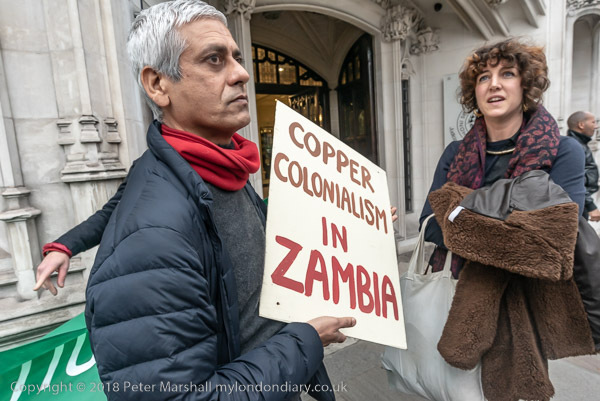 The Supreme Court appeal concerned the attempt by Zambian farmers against Konkola Copper Mines, which they want to pursue in the UK courts. 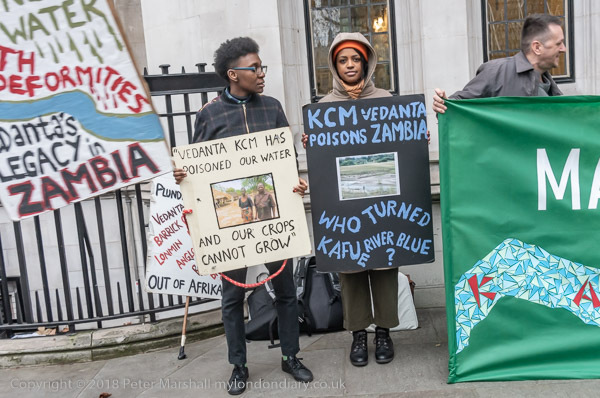 Vedanta appealed against the case being heard in the UK as KCM is a Zambian company, but the HIgh COurt in May 2016 and Court of Appeal October 2017 both ruled that Vedanta is responsible for the activities of its subsidiary and since Vedanta is a British company can be taken to court here. So Vedanta took the case to the Supreme Court. 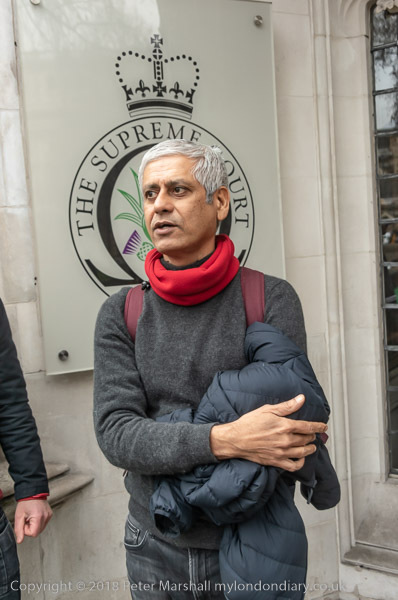 Yesterday, 10th April 2019, the Supreme Court gave its judgement, again dismissing Vedanta’s case. This is not only good news for the Zambian farmers, but also sets as precedent as the first reported case in which a parent company will have have been held to owe a duty of care to a person other than an employee of the subsidiary who has been adversely affected by the operation of the subsidiary. 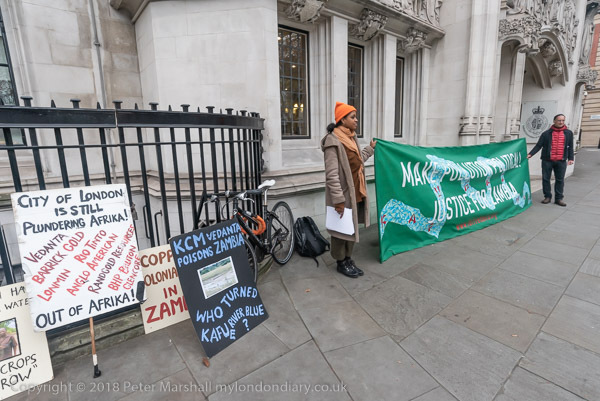 The Zambian farmers who claim KCM have polluted the River Kafue since 2004 with excessive levels of copper, cobalt and manganese, causing sickness and deaths, damage to property and loss of income can now take their case in the UK courts. 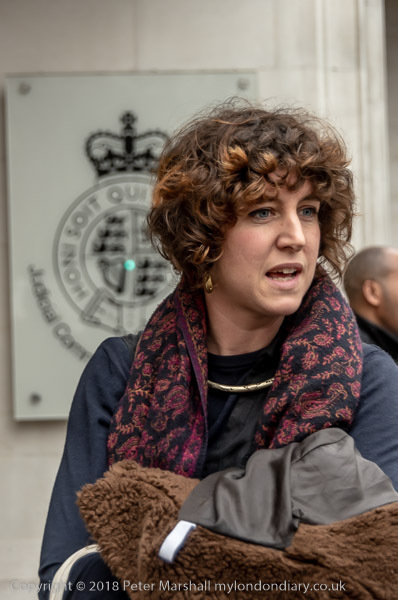 But this decision is also important for all communities affected by the crimes of UK multinationals who have hitherto been denied justice in British courts. This entry was posted on Thursday, April 11th, 2019 at 08:22 am and is filed under My Own Work, Political Issues. You can follow any responses to this entry through the RSS 2.0 feed. You can leave a response, or trackback from your own site.